From that moment on, Wynne reports, she wrestled with the good, the bad, and the ugly of the southern experience---its beautiful land, its deep sense of relationship, its gift of metaphor---and its brutality of slavery, its horrors of lynching, its oppressive Jim Crow laws, and its denial of policies grounded in racism, sexism, and class. The book recounts her journey to make sense of all those southern dichotomies, while inviting readers to reflect on their own cultural dualities. Such engagement, Wynne believes, can help all of us understand that the south’s history is just one piece of the larger tapestry of an apartheid nation. She challenges us to unearth the country’s past and present institutional tyranny, so we can ultimately come home to our nation’s founding ideals. Reckoning with Our Roots unstitches the notion that the Eurocentric narrative is the only story of America. Wynne claims it is just one of many stories that weave diverse strands into a collective, national whole. She contends that until all stories of cultural liberation create the cloth of our schools’ curriculum and our lives, our country will continue to unravel the dream of democracy. In this book, Wynne examines issues of power and privilege; white supremacy; the #MeToo Movement; the failure of schools to deliver quality education to marginalized students; the brilliance of the Algebra Project and the Young People’s Project; the necessity for quality public schools for all; and the many lessons we can learn by listening to the young, and by studying Black scholars, the Southern Freedom Movement and the Black Liberation Movement of the African Diaspora. 5. Whose children are they? 8. If the nation’s so smart, why are schools so dumb? 10. Is property worth more than bodies? 13. Where were we then? Joan T. Wynne began her career teaching literature and writing at David T. Howard High School in Atlanta, Georgia. Later she taught at Morehouse College and then became an Associate Director of two Urban Centers, one at Georgia State University (GSU) in Atlanta, and one at Florida International University in Miami, where she also served as an Urban Education professor. While teaching at Morehouse College, Wynne designed and directed The Benjamin E. Mays Teacher Scholars Program. She co-designed and directed an Urban Teacher Leadership Master’s Program when at GSU and taught graduate classes also there. She was a leadership and equity consultant for public schools in Atlanta and in Fulton County, GA. Her research interests include the instruction of urban children; racism’s impact in schools; and the grassroots leadership of Bob Moses and the Algebra Project and the Young People’s Project. She has published research studies in multiple professional journals and books, and has been awarded over $5 million in national and state grants. In 2000, Wynne received the “Martin Luther King Jr. Peace Award” for work with diverse populations, and in 2015 received the Honorable Mention-Urban Affairs Association-SAGE Activist Scholar Award. Her recent co-authored texts include: Who speaks for Justice: Raising Our Voices in the Noise of Hegemony; Confessions of a White Educator: Stories in Search of Justice and Diversity; Quality Education as a Constitutional Right: Creating a Grassroots Movement to Transform Public Schools; and Research, Racism, & Educational Reform: Voices from the City. The work of Lisa Delpit, Asa G. Hilliard, III, Bob Moses and her brilliant students, living on the margins of society, have inspired her writing and research. Wynne is now an FIU retired professor, a writer/educator with the Miami Algebra Project Council, and participant in the “We the People: Math Literacy for All” National Alliance, and the South Florida Local Alliance for Math Literacy & Equity (FLAME). Reckoning with our Roots is a stunning read that exposes the racism and oppression that continues to dominate American society. Wynne challenges us to face our privilege and asks whether we, as whites, are prepared to surrender our advantages in the interest of true equity. 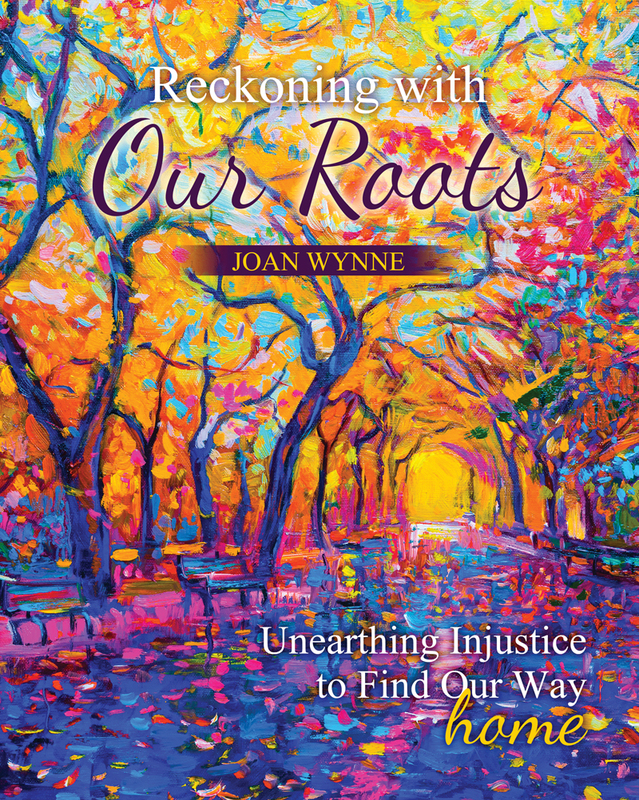 Gracefully weaving her personal experiences with research and scholarly works, Wynne’s journey feels familiar to anyone wanting to be part of a solution and thirsty for community. In this book of essays, Wynne displays a rare willingness to reveal in detail the personal, professional and political influences that mark a journey of critical consciousness. By interposing current events, research and first-hand accounts working alongside intellectuals of color, including Lisa Delpit, Vincent Harding, Asa G. Hillard, III and Bob Moses—Wynne reckons with the social, emotional and theoretical complexities involved in being a Southern, white, female progressive educator committed to advancing equity in urban education. Wynne demonstrates in this creative and intimate approach the need to personalize social justice in ways that data and statistics cannot. That this slim book is rooted in southern white experience and is so thoughtful, makes it especially valuable. The reading and web site suggestions and questions attached at the end of each chapter are a bonus contributing much to its usefulness. In these pages, Joan Wynne swings the particulars of “black” struggle directly toward the questions—often minimized when such struggle is considered and discussed—of what we want to be as a nation; toward the challenges of forming a more perfect union. Well worth the read. In Reckoning with Our Roots, Wynne offers a unique perspective on the complexities of white identity, power, and privilege in the United States. Using poetry, historical narratives, and autobiographical commentary, she guides the reader from her roots as a white woman living in racist communities in the deep south to her work as activist and educator with initiatives such as the Algebra Project and the Young People’s Project. This powerful, passionate, and vulnerable account of the journey from the roots of racial identity to the cultivation of a liberatory consciousness is a must-read for anyone working to address the challenges facing schools and communities in the United States today. Brian Williams, Ph.D., Director of The Alonzo Crim Center for Urban Educational Excellence, Georgia State University. The fascinating essays in this inspiring volume chronicles the author’s path from initial rejection of her southern roots to acceptance and self-redemption. Her essays document a journey that was guided by the “human signposts” of primarily black revolutionary thinkers. Dr. Joan Wynne realizes personal liberation through experiencing the “passion, excitement, and cosmic sparkles” of black humanity revealed to her through African American struggles against oppression, and through the genius of African survival. The book’s brilliance, as revolutionary and revelatory critical practice, is emphasized in its concluding essay.